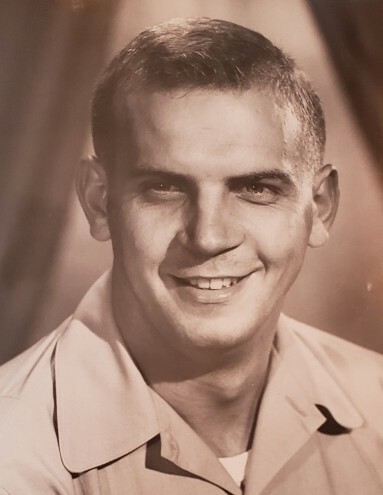 John Ralph McAteer, 78, of Murrells Inlet, SC passed away on Tuesday, April 02, 2019 at his residence surrounded by his loving family. He was born December 29, 1940 in Lancaster County, SC, son of the late John W. McAteer and Louise Adams McAteer. In addition to his parents he is preceded in death by a sister, Edith McAteer. Survivors include his loving wife, Jacqueline “Jackie” McAteer of Murrells Inlet; one son, Jonathan McAteer of Myrtle Beach; three daughters, Rhonda Gould and her husband Tom of Winchester, KY, Lynn Lee of Columbia, SC and Gwen McAteer of Greenwood, SC; one step-son, Andy Flowe of Conway; one brother, Dennis McAteer and his wife Cheryl of Lancaster, SC; five grandchildren and five great grandchildren. Ralph served in the United States Air Force during the Vietnam War. He worked for the Bowater Paper Mill in Rock Hill, SC and retired after thirty five years. He volunteered for the American Red Cross helping to assist families after devastating disasters locally and nationally. Ralph loved to cheer on his National Champions the Clemson Tigers. A celebration of Ralph’s life will be held 2:00pm Saturday, June 15, 2019 at Burroughs Funeral Home, 3558 Old Kings Hwy, Murrells Inlet, SC 29576. The family will receive friends immediately following the service. The family requests that memorial contributions be made to the Wounded Warrior Project, P.O. Box 758517, Topeka, Kansas 66675-8517. There's still time to send flowers to the Celebration of Life at the Burroughs Funeral Home & Cremation Services at 2:00 PM on June 15, 2019.